The dawn of 2019 saw positive changes in setting up a business in Bahrain remarkably parallel to the growth of the economy. In 2019, and towards the very end of 2018, Bahrain gained control over its changing market and economic environment to create a much more conducive area for businesses to brew. Several elements have also played a crucial role in elevating Bahrain to this rank. Here are the 5 quintessential reasons to invest in Bahrain in 2019. Bahrain is a small country, comprising an arrangement of several islands in the form of an archipelago. Bahrain is the hub of major trade routes in the GCC, a feature it worked upon due to its strategic location within the Arabian Gulf. Moreover, the archipelago nation sees the coasts of Saudi Arabia on the east and Qatar on the north, fuelling the economy with a synergy of commerce and trade derived from its neighbours. Bahrain has become incredibly accessible, especially since the establishment of the Khalifa Bin Salman Port. The economy of Bahrain has been named as a modern economy. The tracks set by a free and open economy, a flourishing banking sector, and diversified incomes from various sectors have Bahrain on a locomotive towards a rapidly growing financial industry. Bahrain reigns as a financial forum for the GCC. The prevalence of Islamic Banking and various financial services has granted Bahrain the acclamation it deserved and proves the fact that the country is an excellent location to do business. Bahrain reigns as the freest economy in not just the Middle East but also the North African region. Bahrain continues to provide a transparent and liberal business environment in the region. It offers lucrative schemes for private companies, such as the total exemption from tax and the imposition of non-direct taxes on private entities and institutions. Additionally, Bahrain offers a way to return the capital without the imposition of a fee. The code passed out 2003 in Bahrain facilitates foreign investors to freehold real estate properties for both residential and business reasons in several different areas in Bahrain. Some of the areas are Al Bahrain, Al Durrat, Al Juffair, Al Seej, Al Reef Island and Amwaj Island. Out of all the countries in the GCC, Bahrain is the sole nation that has placed a system of communication free from any regulatory restrictions and boundaries. Bahrain ranked 63rd in a list of 190 countries, but this position isn't seen as a mere average rank as it denoted that Bahrain ranked 2nd in competition with the entirety of the GCC, and levelled up three places higher than its previous rank. The workforce and personnel hailing in Bahrain are extremely proficient in the GCC. The human resource and labor force is well educated, skilled, and effective in the way they function. This aspect is tremendously beneficial to domestic as well as foreign investors because a capable workforce helps cut down on costs and unnecessary spending on training and development. Foreign investors can employ a local workforce rather than bringing in foreign labour, the funds saved up can be allotted in a different aspect which requires more financial support. In 2010, the Central Bank of Bahrain, the citizens of Bahrain made up 66% of the operating workforce within the financial sector alone, that's two-thirds of the total workforce. 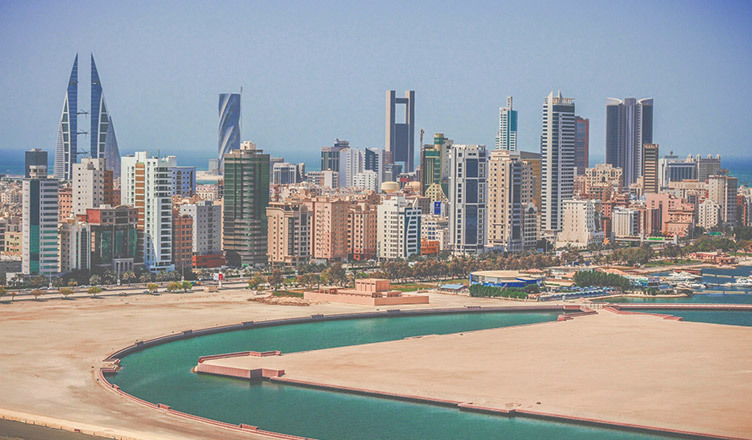 2019 witnessed a massive boom of the real estate market in Bahrain. The Real Estate industry is a sustainable market in which investors are likely to never go wrong with. The sector is populated with a miscellaneous mix of foreign as well as domestic investors. The options and opportunities provided by the Real Estate market cater to a wide range of property needs, from lavish and luxurious properties to spaces for medium income individuals. The availability of freehold property encourages foreign investors to be ever-present in this market. Real Estate in Bahrain has boomed after tourism picked up the pace and the growing need for space and property. In 2019, Real Estate is very likely to garner a great deal of investment. Therefore, investing in Bahrain will unfold a plethora of options. 6. Bahrain's Chamber of Commerce and Industry. The Chamber of Commerce and Industry appears on this list in tribute to Bahrain's fruitful efforts in becoming the premier Chamber of Commerce and Industry in the Arabian Gulf. The Chamber has enabled eccentric development of Bahrain's economy, since its inception. It had a significant impact in bringing the private and industrial sectors to prominence; something investors can exploit to their benefit when it comes to starting or running a business in Bahrain. The economy of Bahrain is a conducive and constructive environment for businesses to sprout. 2019 is an excellent time for investors to consider and start investing in Bahrain. Business Setup Worldwide is the perfect platform to consider while setting up your business in Bahrain. We specialise in helping you with procedures ranging from company incorporation to visa services; we've got the know-how through our highly competent Advisors. To know more, contact us, we'd be happy to help! Saniya has always been driven by art and aesthetics. She is constantly in the frame of mind to sketch something new. Looking out for creativity in her work, she found her calling in content writing. She has an esoteric personality and maybe the Protector of Gotham.